Commenter William thankfully double checked our math and we’ve corrected a small error in our % NTSC calculation. We finally got our hands on an iPhone 5 yesterday. 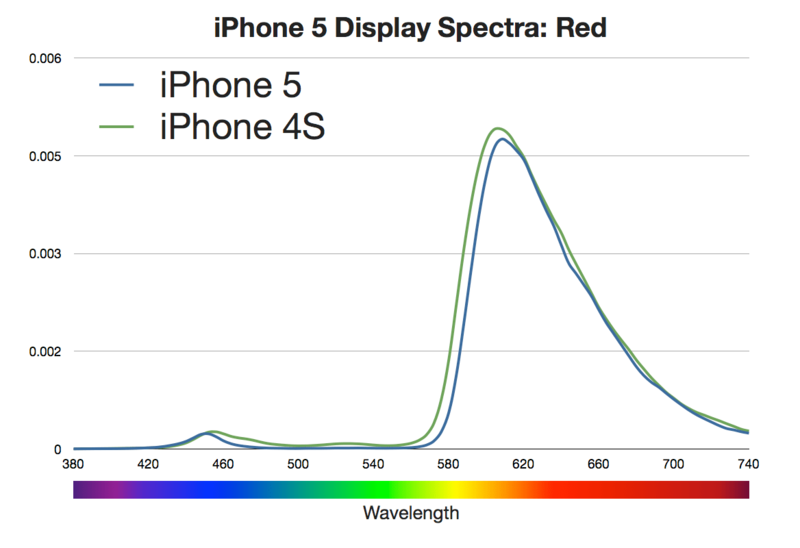 I tried asking Siri if she really has 44% more color saturation but she wouldn’t give up the goods, so I went with plan B and aimed our PR-655 spectroradiometer at the phone to find out just how impressive the screen really is. A lot has already been written about this display, but not much empirical evidence has been published about the color performance. How does the screen actually stack up to the marketing claims? In short, Apple did an exceptional job improving color saturation and display quality in general, but the unit we measured just missed the 44% more color saturation claim. 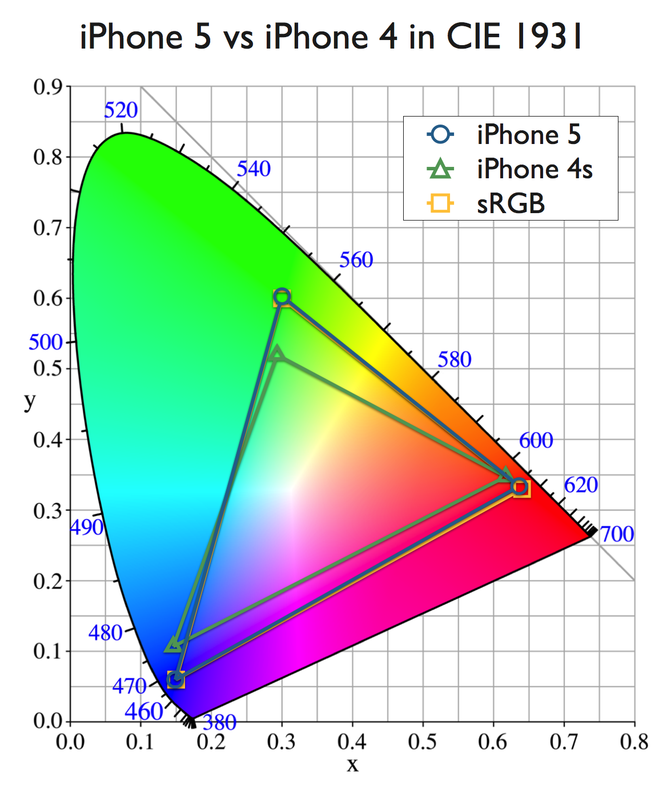 The iPhone 5 has significantly more color saturation than the 4S. 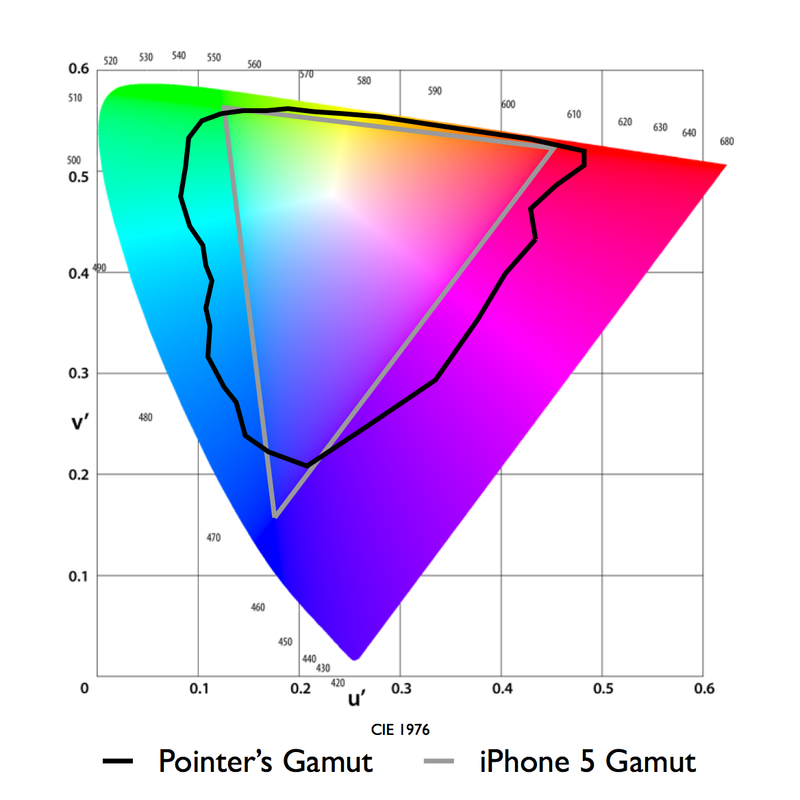 The 44% more color claim for the iPhone 5 is the same claim Apple made for the new iPad. 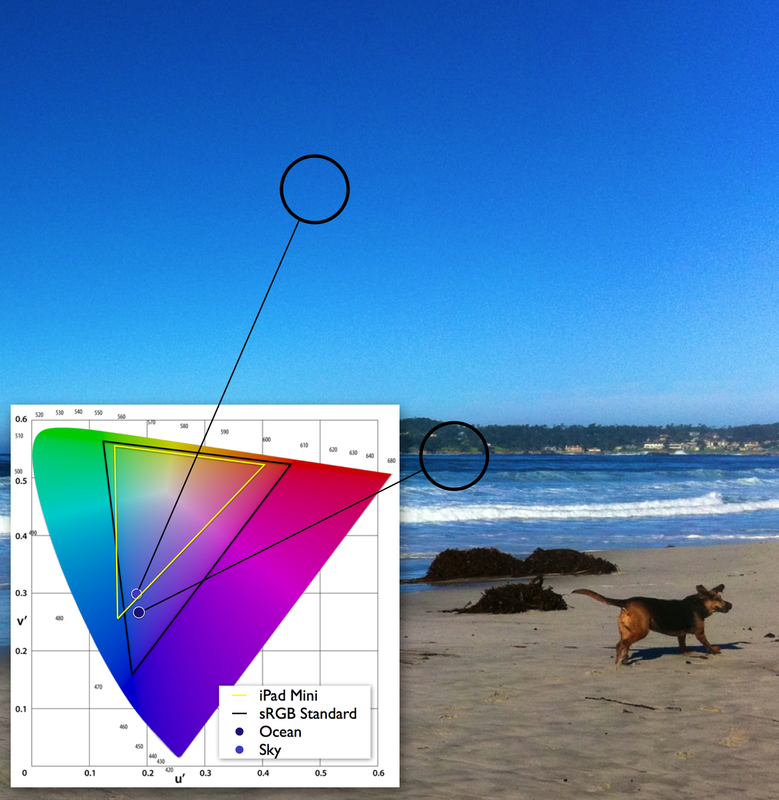 As with the iPad, increasing the color performance of the iPhone 4S by 44% of NTSC 1953 gamut, measured using the CIE 1931 color space, would result in color saturation matching the sRGB color standard. Using these standards as the goal posts, we measured the iPhone 5 at 70% of NTSC 1953 in CIE 1931, a 39% increase from the iPhone 4S, which measured at 50%. That’s 5% less of an improvement than Apple’s 44% claim and just 99% of sRGB (measured against the sRGB primaries). 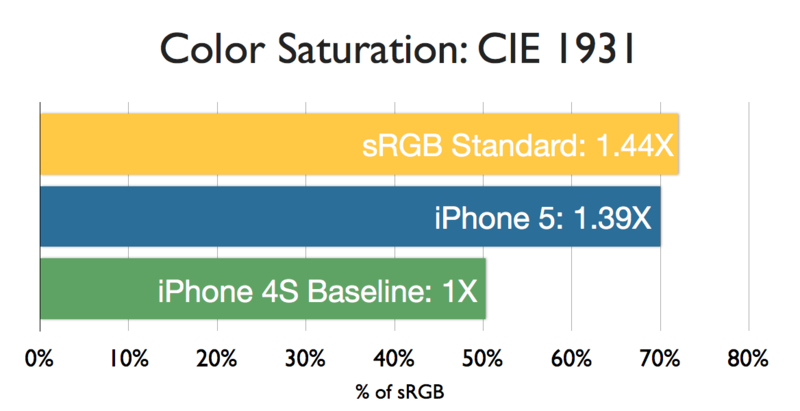 While 5% less might seem like a big deal, getting to 99% of sRGB is a major feat and will result in tremendously noticeable color improvement in the phone. 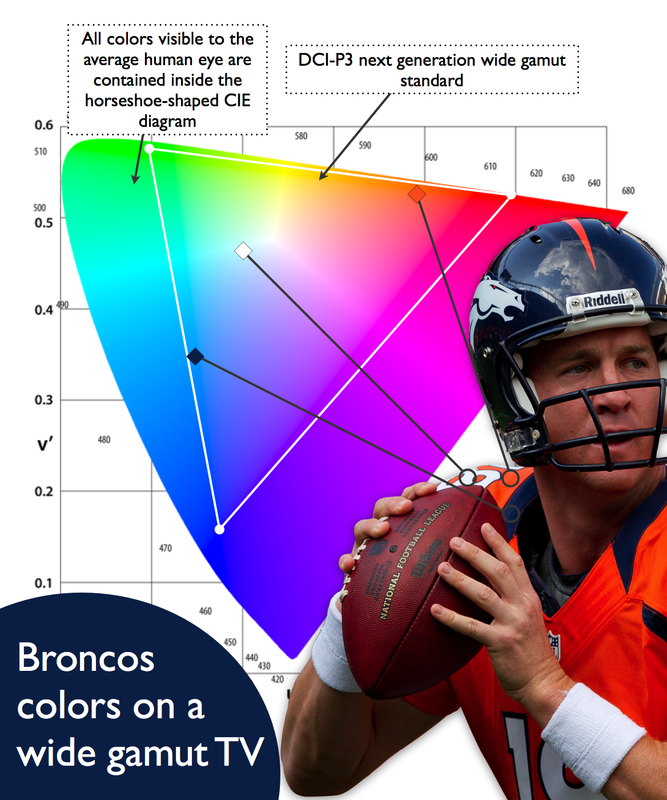 Additionally, color filters are notoriously difficult to manufacture. Slight variances in performance like this are common and most likely outside the range of a just noticeable difference for the average person. If you want to know more about NTSC, CIE and sRGB, and why we are using standards from the 1930s, I have written extensively about this issue in the past. 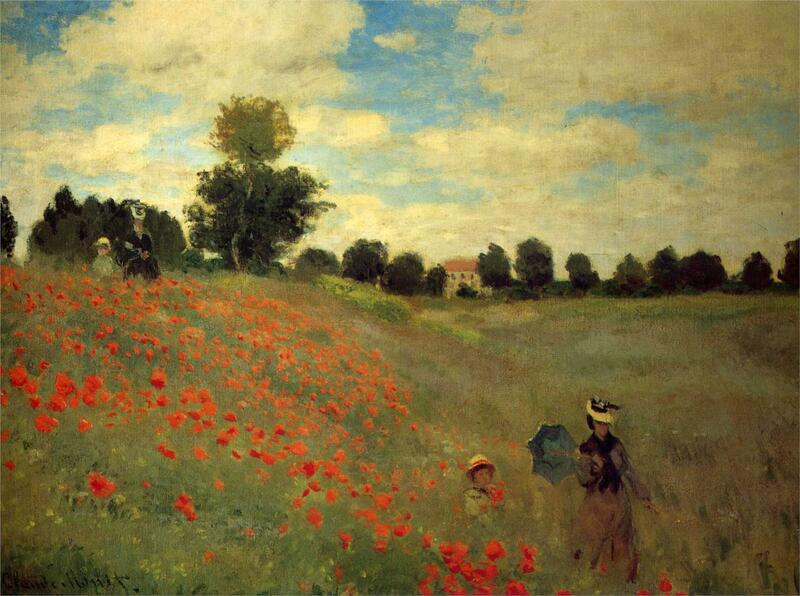 Much like they did with the new iPad, Apple significantly improved the color filter performance† of the iPhone 5. Based on our experience, this type of improvement typically means that the display requires 20-30% more power to operate at the same brightness. Considering that the display is already a major source battery drain on the phone, this further underscores the engineering effort Apple made to keep battery life about the same as the 4S. 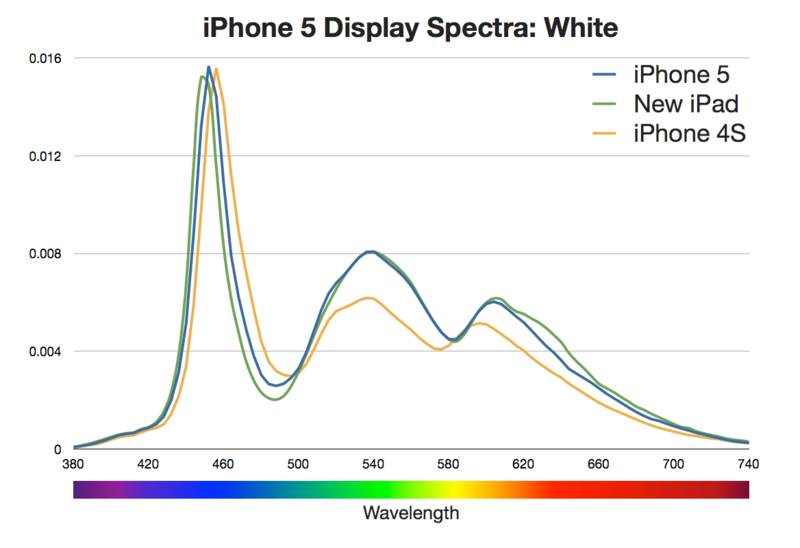 Looking at the white spectrum of the iPhone 5, we see that the new color filters are very similar to those of the new iPad. Compared to the 4S, the peaks are slightly narrower, which improves color purity. In order to meet sRGB, they also moved to deeper reds and blues. As with the new iPad, the biggest difference between the 4S and the 5 is in blue. 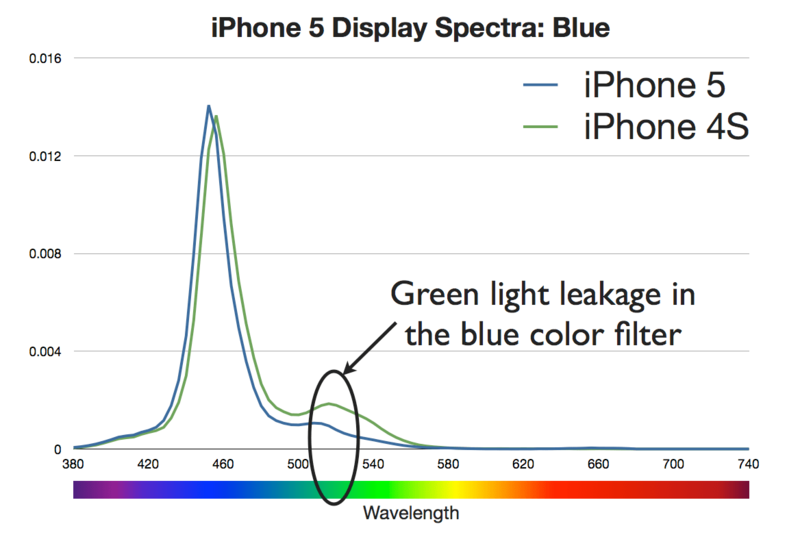 Apple moved the peak to a deeper blue but, more importantly, they narrowed the filter so less green light leaks through. The green leakage causes blue to look a bit “aqua” on the 4S. Retinal neuroscientist Bryan Jones looked at both displays under his stereo microscope earlier this week. His close-up shots really show off the difference in blue filters. 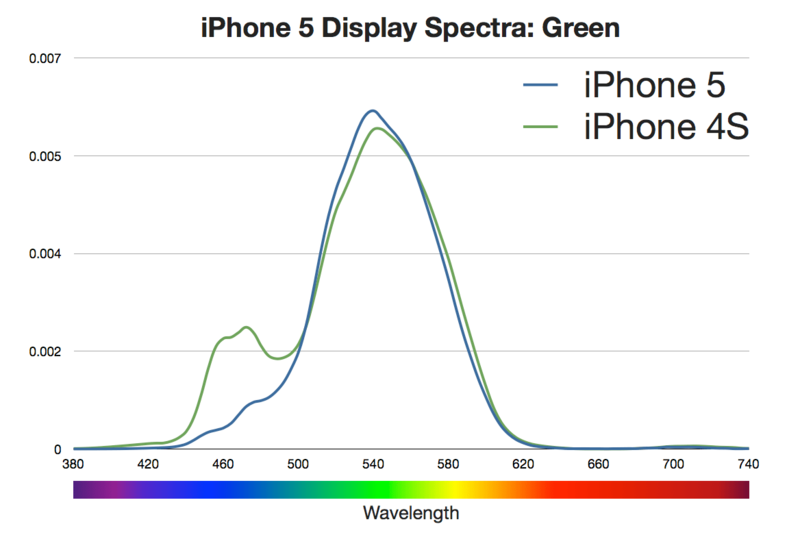 Apple again chose a slightly deeper wavelength of green which is less yellow and eliminated some of the blue leakage that had been muddying the green on the 4S. The change here is subtle but as with the other filters, the peak is narrower, deeper in the red and leakage is reduced. One difference worth noting is that, while we are seeing less peak leakage in the red filter, there had been relatively broadband leakage across yellow, green and into blue that has been largely eliminated. 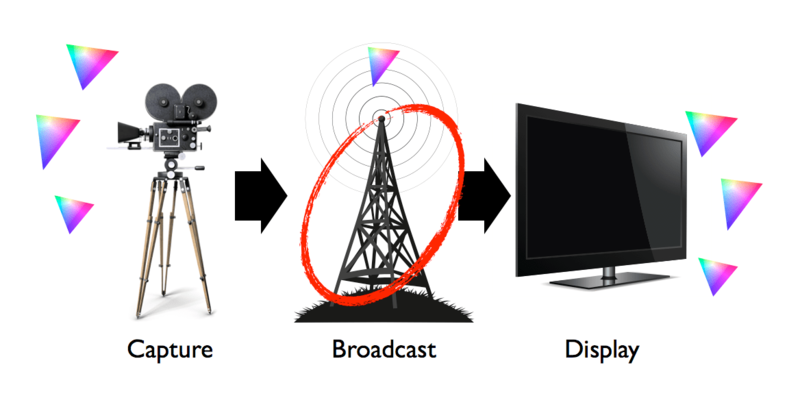 In all, it’s an exceptionally well-calibrated and accurate display for any kind of device, especially a smartphone. Apple has gone to great lengths to design a screen that brings the vibrancy of sRGB to the palm of your hand. 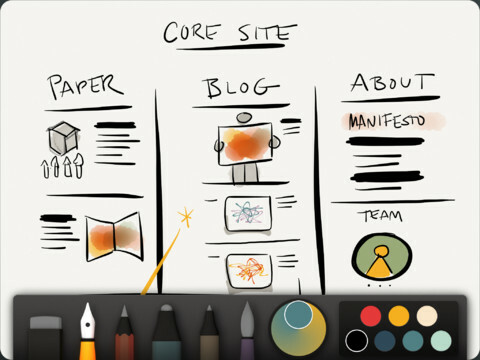 Display improvements were once again featured at yesterday’s Apple keynote event. The most obvious improvements may have been the larger display and thinner form factor but most interesting to dot-color are the color claims. Let’s do some simple math to see how the iPhone 5 stacks up against older iPhones and last week’s color performance claim from Motorola. So Motorola is still king of the fall 2012 smartphone color saturation, based solely on marketing claims. That said, I wouldn’t be surprised if they updated their marketing to say that the Droid Razr Maxx HD offers 28% more color saturation than the iPhone 5 once it hits store shelves in a couple weeks. I plan to measure all of the announced devices to verify these marketing claims, but for now, this is all we have to go with. 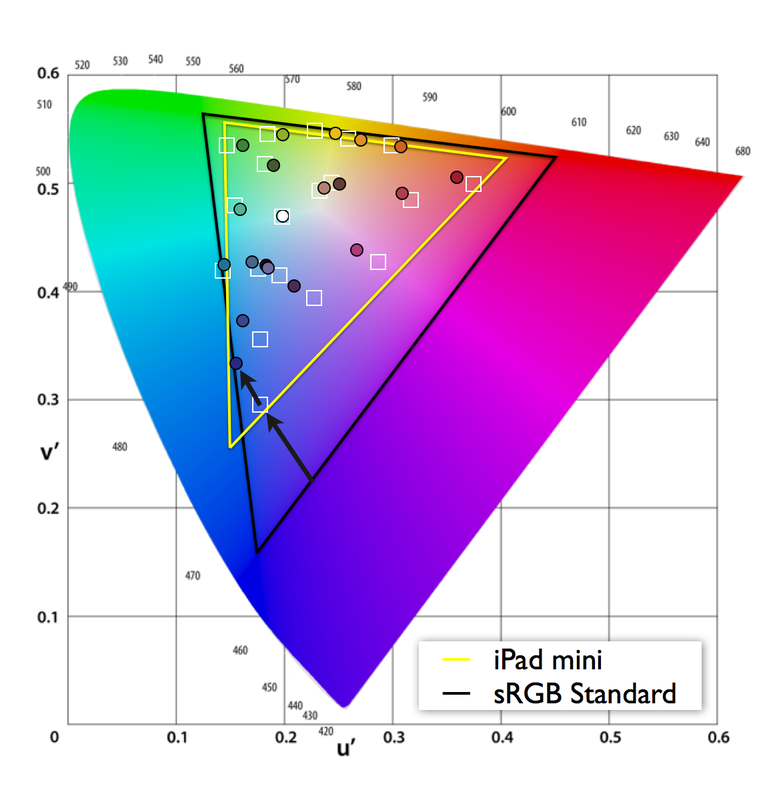 Apple also claimed to be able to match the sRGB standard used in TV and movies. With the addition of the iPhone 5, nearly all of Apple’s flagship products (with the exception of the MacBook Air) now meet this standard. This means content should look very consistent across all Apple devices and may open up the possibility for serious content creation apps in iOS. 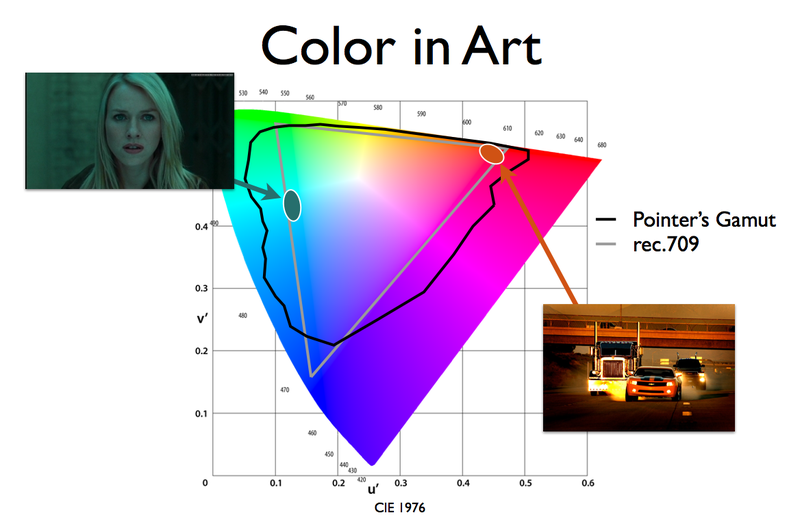 It also means we’re only just now catching up to an average CRT display from circa 1990, as the sRGB standard is based on the capabilities of phosphor materials used in CRTs. 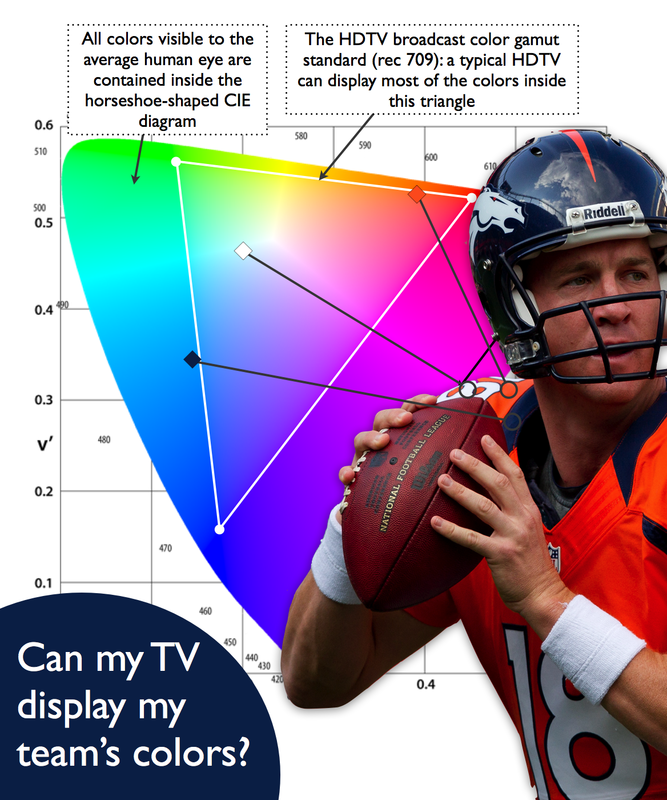 And even still, the new displays are only covering about 35% of the range of colors a human eye can see. 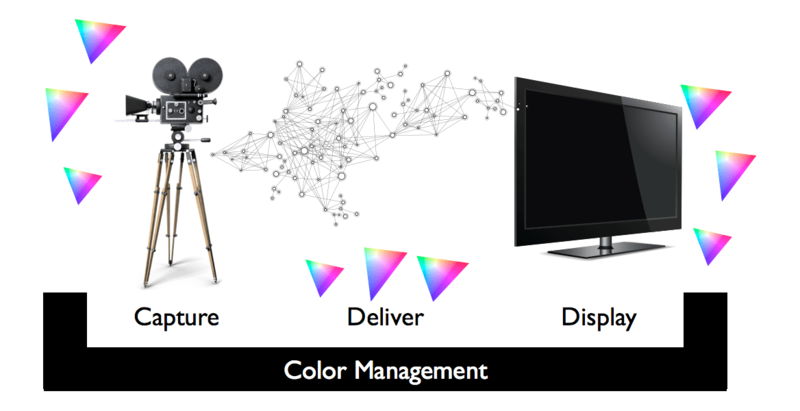 There’s still plenty of room for improvement in display color performance (as well as updated content delivery standards, but that is a whole different post). Hopefully if we keep on this kind of pace with display enhancements, next year we’ll start to see a push beyond the limits of last century’s color standards. 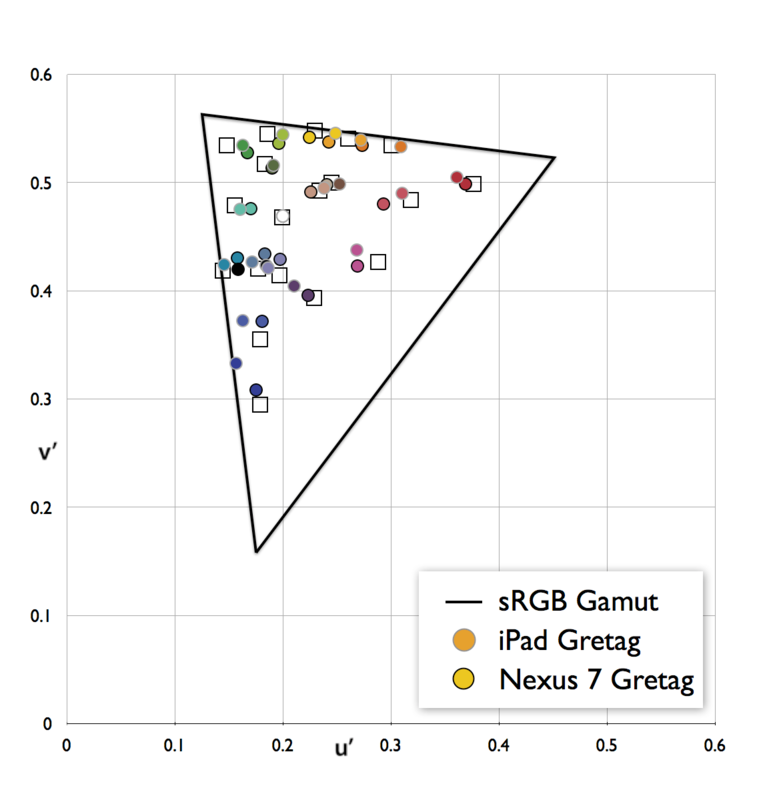 † We’re using the long outdated CIE 1931 color space and NTSC 1953 gamut standards here since this is clearly Apple’s reference when they claim 44% more saturation and sRGB coverage. 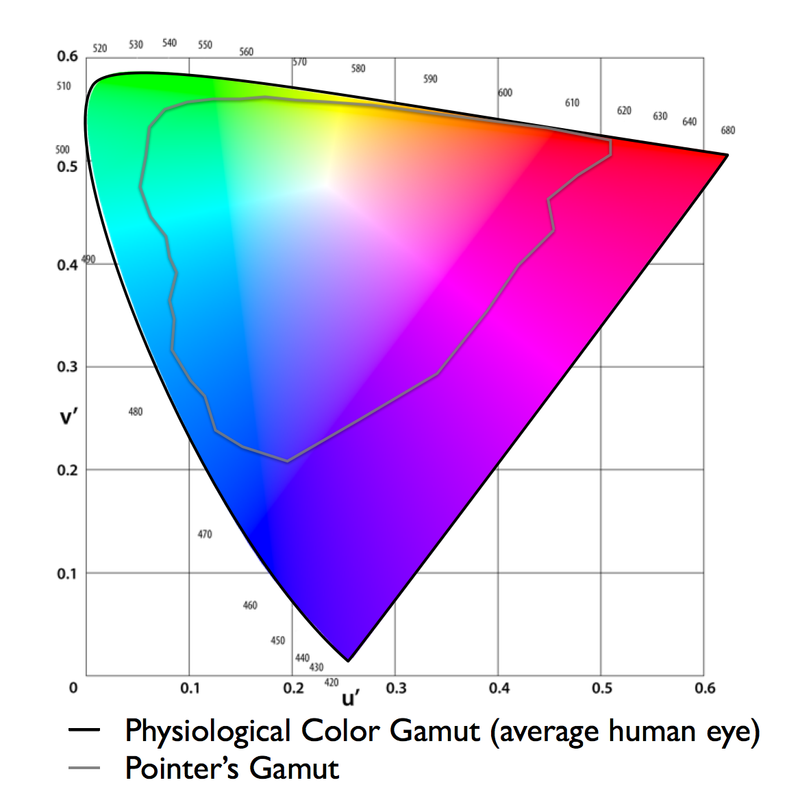 50% * 1.44 = 72% and 72% of NTSC 1953 gamut in the CIE 1931 color space is also called the sRGB color gamut. ‡ It is not clear which color space Motorola is referencing; we are assuming CIE 1931/NTSC 1953 for ease of comparison.